Edward Dababneh decided to become a doctor when his uncle, Zuhair Dababneh, received a kidney transplant in 2008. Dr Bruce Cleland, a nephrologist who works for the South Western Sydney Local Health District, was the renal physician who saved Zuhair’s life with the transplant. Eleven years later, the nephew, Edward, is back at Liverpool Hospital, this time one of 108 new doctors who will be working in hospitals across the South Western Sydney Local Health District. Not only that, but Dr Dababneh will spend his first term in medicine under the supervision of Dr Cleland at Liverpool Hospital. “What Dr Cleland did remains nothing short of a miracle and my uncle often refers to him as an angel,” says Dr Dababneh. 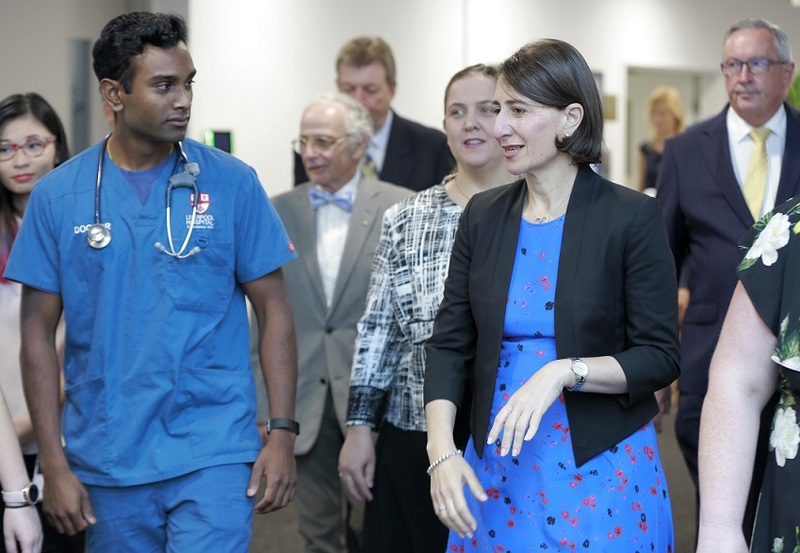 Premier Gladys Berejiklian welcomes new medical interns at Liverpool Hospital last week. 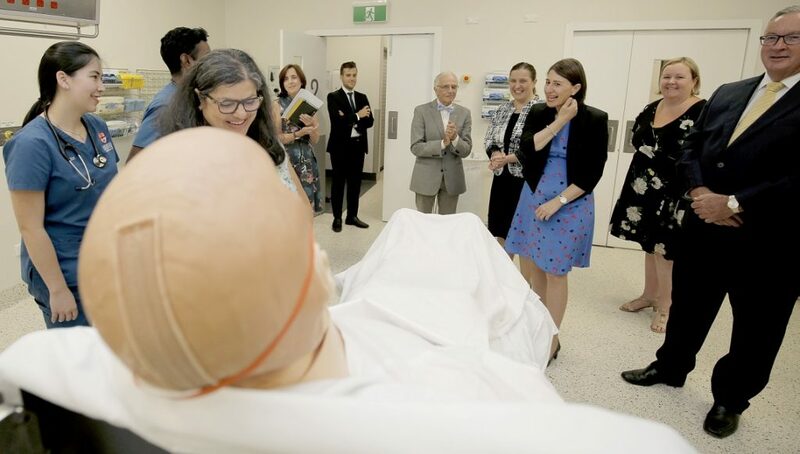 Dr Dababneh and the rest of the 108 medical interns were officially welcomed by NSW Premier Gladys Berejiklian and health minister Brad Hazzard at Liverpool Hospital last week. “Interns are a vital part of the professional team at the frontline of the health system,” says South Western Sydney Local Health District chief executive Amanda Larkin said. Ms Larkin said the new interns will be employed across Fairfield, Liverpool, Campbelltown and Bankstown-Lidcombe Hospitals, working in a variety of disciplines. NSW with 1,021 intern positions – up from 999 last year – has more intern positions than any other state or territory, up 251 positions – or 32 per cent – since 2011. During their one year internship, the graduates will complete compulsory terms in the specialties of medicine, surgery and emergency as required by the Medical Board of Australia.